Roll up, roll up!! The Big Top is in town! What great childhood memories this brings back. But it always used to rain whenever the circus came to town. Isn't it strange the things that stick in your memory. Today I have a card that is a tribute to the big top. 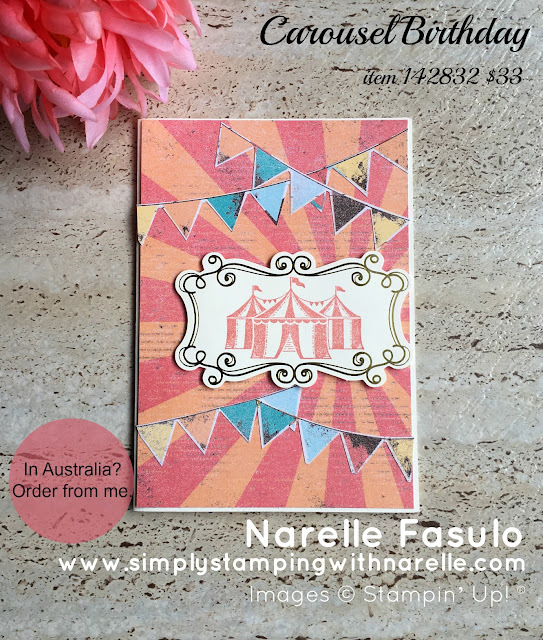 A simple card, but it gives a great carnival or circus vibe, a true tribute to childhood memories. To see the complete list of products I have used, check out the product list at the bottom of the page. 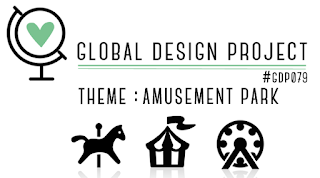 This card I made tied in beautifully with the current Global Design Project challenge this week. Now there are only a few weeks of Sale-A-Bration left, so make sure you get in quickly to get your FREE items. And if you have a big wish list or just want to support your crafting habit and get a discount, then you really need to consider purchasing the starter kit. There are only 13 days left to join on this great special. 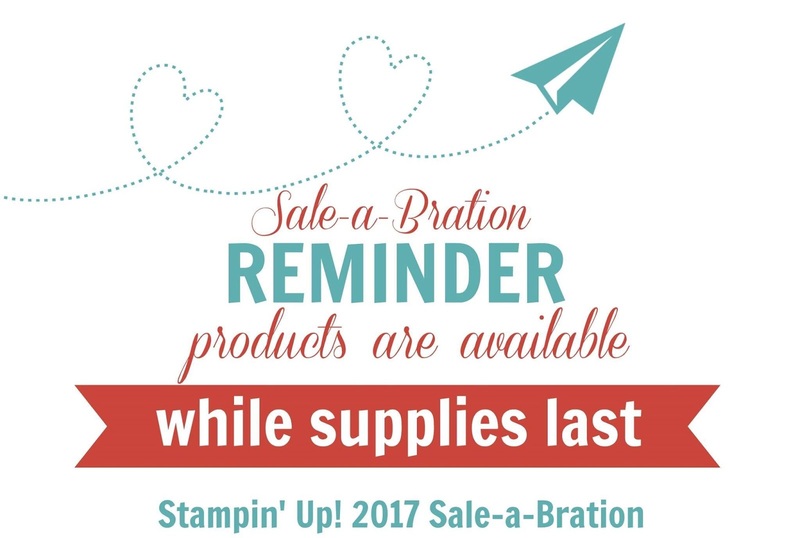 Get $235 of products that YOU pick and pay only $169, and then on top of that, you get to choose an extra TWO stamp sets FREE. My gosh, where else can you walk away with more than you pay for, plus a bonus on top. It means your starter kit can be worth up to $414 for just $169! You will also get an ongoing 20-25% discount on all purchases and get to join my awesome team, the Simply Inked Team. No committment, nothing to give back, nothing to pay back.